A conviction is not the end of the line; a defendant still has the right to challenge a trial court’s ruling. Courts of appeal will closely review not only the substantive merits of a conviction, but also the soundness of the trial procedure in reaching that conviction. For an individual who has just received a criminal sentence, considering whether to challenge the conviction, and on what grounds, requires the advice and assistance of an attorney with experience in criminal appeals. Equally worrisome are the prospects of retaining the same defense attorney who was unsuccessful at trial or relying on a defense attorney unfamiliar with the appellate process. Mr. Eisenberg serves on an appellate panel for the U.S. Court of Appeals for the Ninth Circuit, and he is frequently appointed by the court to serve as counsel in criminal appeals. 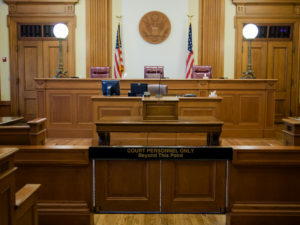 With extensive experience in both federal and state appellate courts, Mr. Eisenberg offers effective representation for defendants seeking to appeal their convictions.